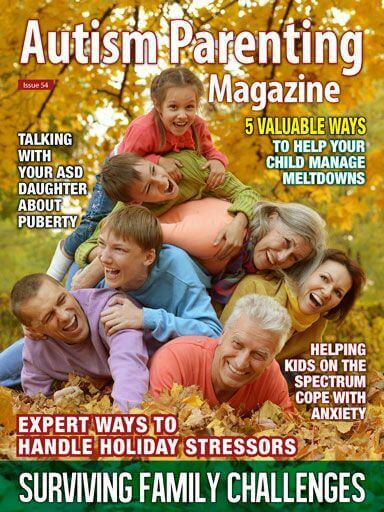 Top guidance on how to help your child with autism handle the many challenges and stressors the holidays often bring. Terrific advice on ways to help your child reduce anxiety and manage emotions more effectively. A mother of four teens, one with autism, provides important parenting survival strategies while sharing her sense of gratitude. A well-known comedian shares his deepest thoughts on his life journey with his beloved daughter with low functioning autism. Learn helpful strategies for developing a structured sensory-motor intervention program to tackle various eating challenges related to autism. How Much Practical Time Should Your Child with ASD Spend on the Screen? An autism consultant provides advice on ways technology can help children with autism with life skills, social skills, basic language development, as well as act as a behavioral tool. A registered nurse who has dedicated her life to working with children with disabilities explains the importance of parental involvement when working with children with autism. Learn how to subcontract chores and use a little sibling rivalry to teach kids who have ADHD, ASD, or issues with defying authority the lesson of responsibility. A mother of three children poignantly shares the tender and tight-knit relationships shared within her family. Expert tips on how focusing on a child’s strengths can be key to revealing his/her abilities. The mother of a boy diagnosed with nonverbal autism discusses the common misconceptions regarding empathy and autism and the need to better understand sensitivities. A gardening writer for The Guardian explains how autism-friendly gardening can make an enormous difference in the life of a child. What Are You Going To Do When Something Big Happens? A mom to a young boy who is deaf and has autism shares the inspiration for her new book which she hopes will instill hope and confidence in children on the spectrum. A mother diagnosed with autism shares the personal joys of being a parent and provides useful tips for other parents on the spectrum. Great tips on how to promote the sibling bond when one or more family members are on the spectrum. Take a look at Barbara A. Smith’s new book From Flapping to Function: A Parent’s Guide to Autism and Hand Skills as she provides valuable advice for families affected by autism. Learn about the latest research regarding the potential for improvements for those with autism through the use of inner-ear-improving medications. Read about a new organization that connects small businesses and young adults with autism by providing them with unique pre-employment experience. Expert advice on how to help a young woman with autism navigate puberty. Excellent advice on ways to teach a child with autism to communicate needs instead of engaging in challenging behavior. Expert advice for planning for the long term care of someone you love with special needs. Cook up this healthy and flavorful meal in very little time. The holiday season is rapidly approaching—a time brimming with excitement. It’s a period filled with meaningful traditions, family dinners, festive parties, and gifts. In a busy world, these special days provide an opportunity for families to carve out some time and connect with the people they love. Unfortunately, the excitement of the season is often overwhelming for families affected by autism. From the change in schedules, to a large table filled with loud voices and unfamiliar foods, anxiety levels can run high. And, to add to the challenge, not all families have relatives who fully recognize a child with autism’s unique needs, or understand how to provide much-needed support. That’s why we have reached out to several experts and parents for meaningful advice and have dedicated this issue to surviving family challenges. Whether you plan to attend a large gathering over the next few months, or you intend to stay close to home, this is an issue you can’t miss. First, we are thrilled Lisa Jo Rudy, mother to a child on the autism spectrum and a leader on the subject of autism, has provided expert advice for families feeling the stress of the holiday season. In her piece, Expert Ways on Handling the Stressors of Thanksgiving with ASD, Lisa shares specific ways you can help your child handle new challenges. Her tips will change the way you approach the holiday season and hopefully generate some calm in your life. Managing daily emotions and stressors is a hot topic this time of year. As Chelsea Ervin states in her piece, Great Ways to Help Kiddos on the Spectrum Cope with Anxiety, children with autism often have a hard time managing their emotions due to a lack of language and not understanding how to express themselves in ways that are socially acceptable and appropriate. Please read her piece, as the mental health blogger and mom to a young boy with autism provides terrific advice on ways to help your child reduce anxiety and manage emotions more effectively. Family celebrations often include large, extended dinners. Mealtimes in general are tough for some kids with autism, especially when you add a little holiday commotion to the mix. If stress levels are amplified during table time, please take a look at speech/language pathologist Maureen A. Flanagan’s piece called Expert Ways to Help Win the Mealtime Battle. Maureen’s professional strategies for developing a long-term, structured, sensory-motor intervention program are sure to change your daily routine. Sibling relationships are so important to the family dynamic—brothers and sisters live together, play together, argue, and bond. Unfortunately, the link between children can be significantly strained when one or more family members are on the spectrum. That’s why it’s important to take a look at Liz Burton’s piece called Simple Ways You Can Help Strengthen the ASD Sibling Relationship, where she has provided some excellent tips on nurturing a healthy relationship between children. While all families are different, her guidance might help you find a new approach in helping your children grow as siblings and share in one another’s joy. 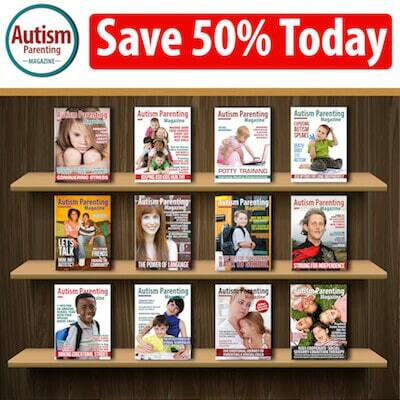 The staff here at Autism Parenting Magazine is very proud of the solutions we are able to provide each month. We are grateful for inquiries and the personal stories you share; your communication gives us insight on which topics are most important. One concern that has been flagged several times is the lack of available information on how to help young women with autism navigate puberty. For much-needed advice on how to approach this important transition, take a look at Board Certified Behavior Analyst Angelina M.’s piece called HELP: I Need Advice on Talking About Puberty with Daughter with Autism. We also are thrilled to share Kim Stoddart’s piece on the healing properties of gardening called The Lifetime Benefits of Spending Time in the Garden with ASD. Using her roles as a mother to a young boy with autism and a gardening writer for The Guardian, Kim has provided exciting new ways autism-friendly gardening can make an enormous difference in the life of a child. As always, we have included in this issue the perceptive advice of our devoted readers. Please take a look at Robyn Coupe’s piece called My Amazing Autism Family is Made Up of Love, as the mother of three children tenderly shares the gentle and tight-knit relationships shared within her family. And if you are in need of additional inspiration, please read Mike Guido’s personal narrative called A Daddy’s Deepest Love, as the well-known comedian shares his deepest thoughts on his life journey with his beloved daughter with low functioning autism. As the holiday season nears, we wish our readers unconditional understanding and support. As the saying goes, the love of family is life’s greatest gift.